BAMAKO, Jul 23 2012 (IPS) - Millet has become the basic ingredient for an enriched flour at the heart of an effort to establish a local, sustainable response to malnutrition in Mali. In the city of Kati, some 15 kilometres from the capital, Bamako, a dozen women are busy processing locally-grown grain into “Misola”. The Misola initiative, created by a French association of the same name, is a public health project which aims to reduce infant malnutrition. “We buy millet, the basic ingredient for the enriched flour we produce, from grain merchants here in the city,” said Ramata Traoré, who manages the Kati production facility. The flour is made up of 60 percent millet, 20 percent soya, and 10 percent groundnuts. Vitamins and mineral salts are added to this to produce a balanced food which responds to known nutritional deficiencies. Demand for the flour is growing in Mali, following a poor harvest from the last growing season. Malnutrition is a serious problem in this semi-arid West African country, where food security has been badly affected by drought in recent years – a situation that has only been aggravated by a rebellion in the north. In December, the Ministry of Agriculture said the country harvested just over five million tonnes of grain, against forecasts of eight million. 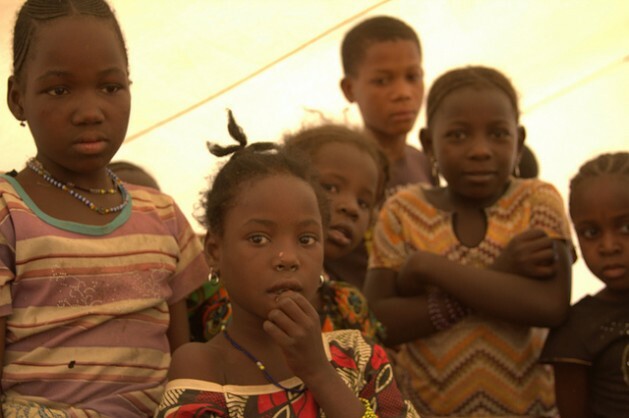 “The ongoing food crisis increases the risk of malnutrition in several regions of Mali, including in Kayes (southwest), Koulikoro and Ségou (south),” said Aminata Sissoko, a nutrition specialist with the Malian Red Cross. She added that the seizure of the three northern regions of Kidal, Timbuktu and Gao by Islamist groups and rebels from the National Movement for the Liberation of Azawad (MNLA) has only aggravated the situation. “At this point, we have not been able to go into the areas controlled by the armed groups to evaluate needs. But we are assisting people displaced by the war with Misola flour,” Sissoko told IPS. One in five Malian children suffers from malnutrition, according to Abdoulaye Sangho, coordinator of the Mali chapter of Misola. Mali’s first Misola production site was set up in 1993 at Diafarabé, in the central region of the country. The initiative expanded quickly, and today there are 19 small factories spread through all regions of the country except for Kidal, in the north. The project extends far beyond the country’s borders. Production of the enriched flour actually began in Burkina Faso in 1982, and the nutrition supplement is now also made in Senegal, Niger and Benin. A common charter links all the groups producing Misola. “The women working in each of the projects also promote best nutrition practices in their neighbourhoods. They organise demonstration sessions in health centres or in other public places,” said Sangho. “When he was seven months old, my child was very sick, very thin. But I didn’t know the problem was malnutrition. It was only during a demonstration session for Misola at the market that I realised that,” said Assetou Traoré, a spice vendor. By training women to make this flour – which is eaten as a porridge – as well as to promote its use in their communities, the Misola association is building both broader awareness of sound nutrition and the know-how needed to achieve this, based in the production facilities. In the courtyard in Kati, Traoré and her colleagues have spread millet that they’ve carefully washed several times out to dry on a tarpaulin in the sun. “Since what we produce is meant for children’s food, we pay careful attention to hygiene,” said Traoré, explaining why no one is allowed to enter the grain store with their shoes on. Chata Mariko, a nurse at a Bamako health centre told IPS that the recommended remedies for malnutrition are easily available. “A sachet of some of these foods costs no more than 500 CFA francs (around a dollar). But unfortunately, there are parents who don’t bring their children to health centres in time,” she said.